After unleashing the 2011 Ford Mustang details earlier this morning, we thought we’d show you a video collage of the killer growl of the latest & greatest 5.0 Mustang. 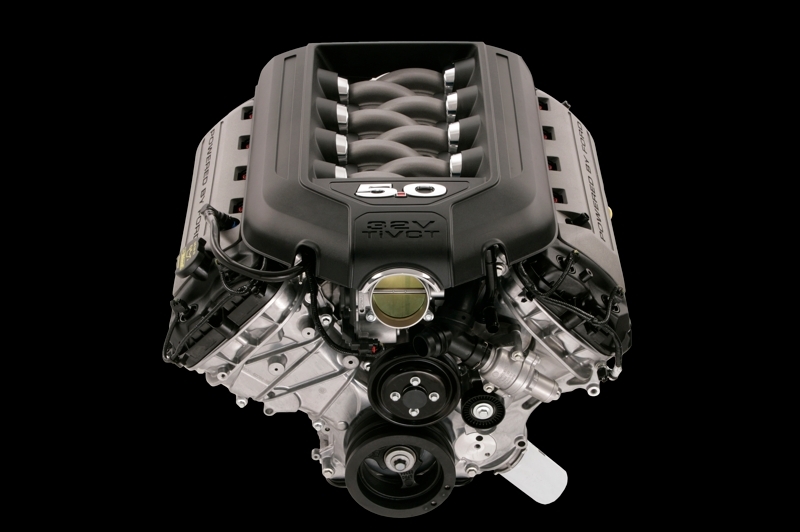 Take a deep breath, hold onto your wallet, and watch this video of the 2011 Mustang feature highlights and a dyno run to 7,000 RPM! 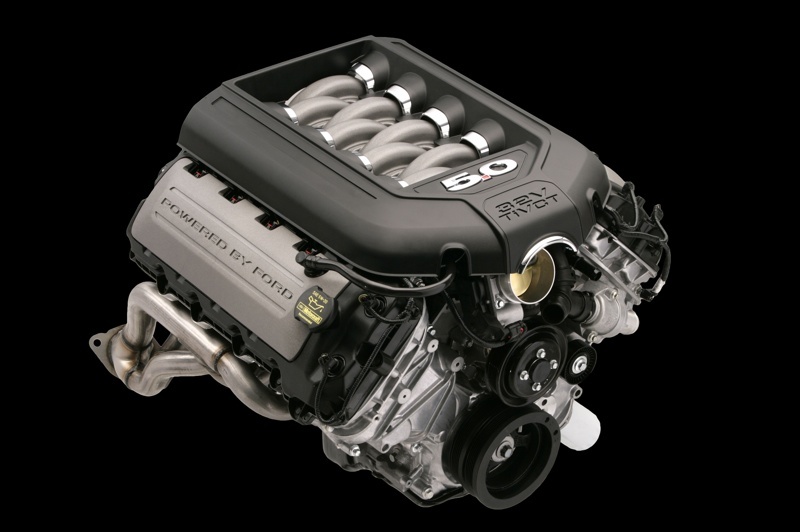 In case you’ve been under a rock since 1996, when the 5.0-liter V-8 dropped from the Ford Mustang power plant offerings in favor of the 4.6-liter modular power plant, there’s a certain note of news humming about. 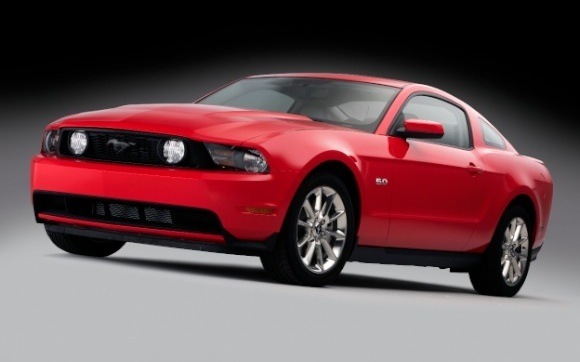 That’s right–the 5.0 Mustang is back! Hey, better late than never, right? Well, Ford’s made sure the entrance is sure to be a memorable one with the recent update to the S197 platform’s looks, feel, and refinement. 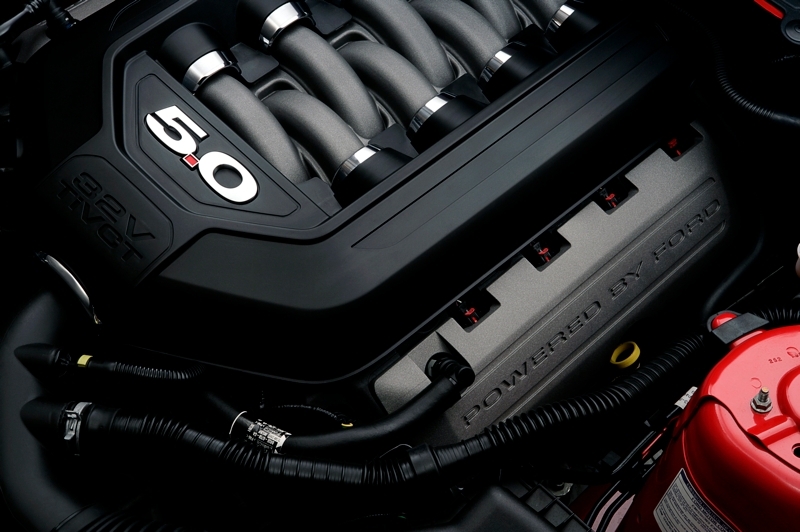 Add to the 5.0 liters of sweet sounding harmony over 400hp & 390tq, a new variable camshaft timing system, and balanced & pressurized oil systems for a smoother torque curve, and you’ve got yourself a Mustang of the future, today. 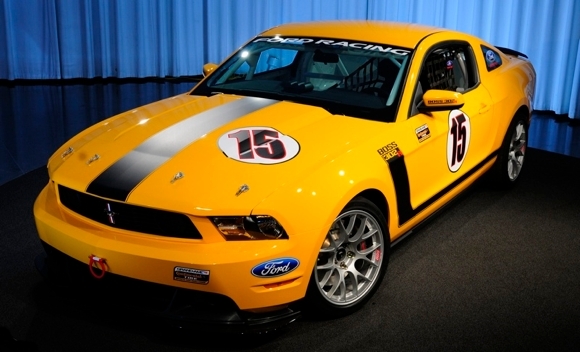 Ford Racing just took us forward with a glance back at the magical past that was the BOSS 302 Mustang. The Mustang BOSS 302R is a complete factory-built race car, prepped for time trials in any imaginable circuit. 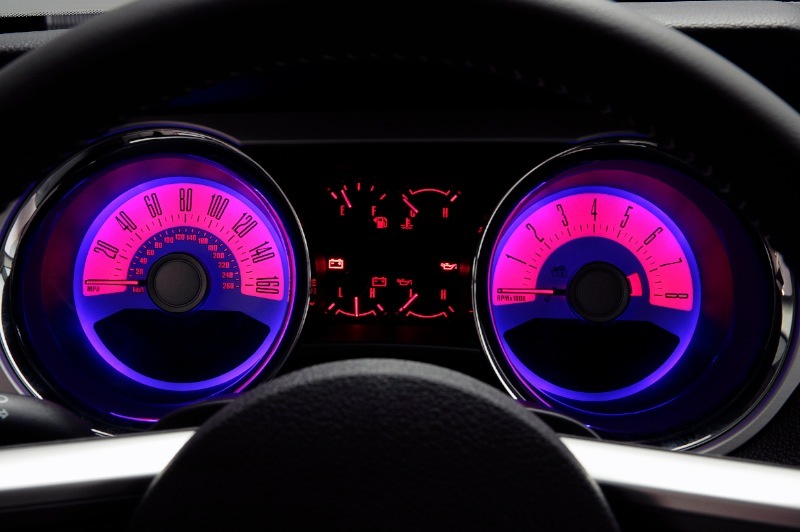 Boy Racers beware; your wallets are about to take a trip down a path often feared taken. 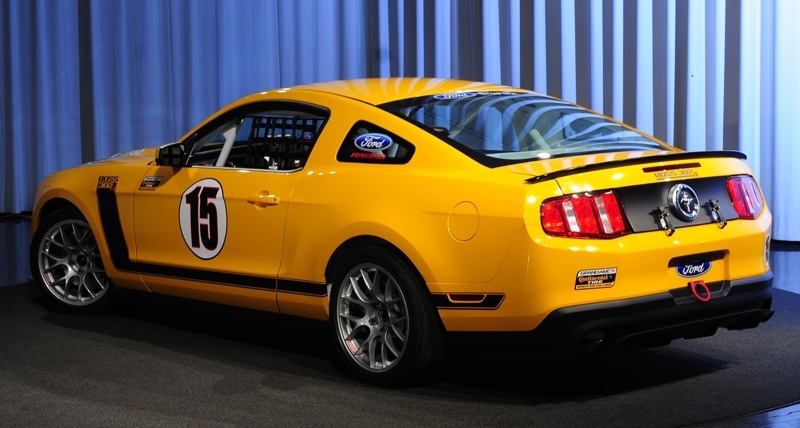 The BOSS 302R brings back 5.0 liters of American V-8 muscle and crams all those ponies into a tightly-knit, track-capable Ford Mustang. Keep reading to get the full scoop in the Ford Press Release. 412 horsepower. 390 ft-lbs of torque. 32 valves. A 7,000rpm redline. All aluminum block & heads. These are a few of our favorite things from the 2010 Detroit Auto Show, and the beauty is, they all come in one potent package. 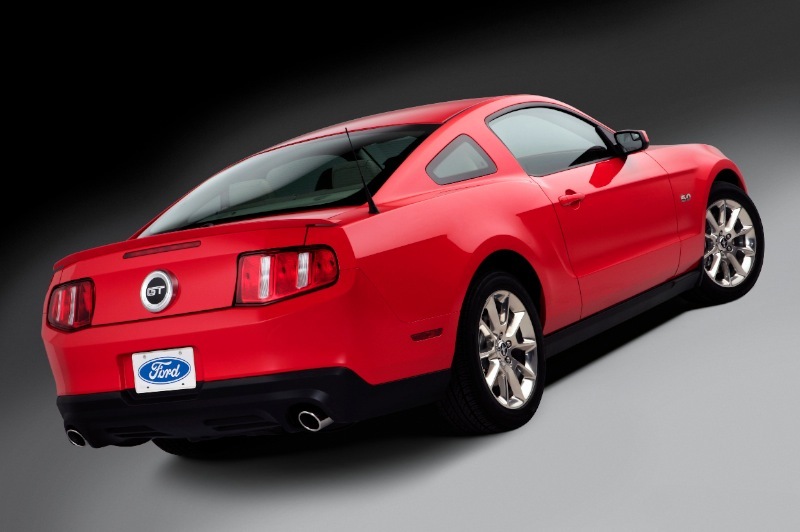 The 2011 Ford Mustang GT comes with the 5.0-liter V8 power plant and tips the dyno just about 15hp shy of the Chevrolet Camaro SS. 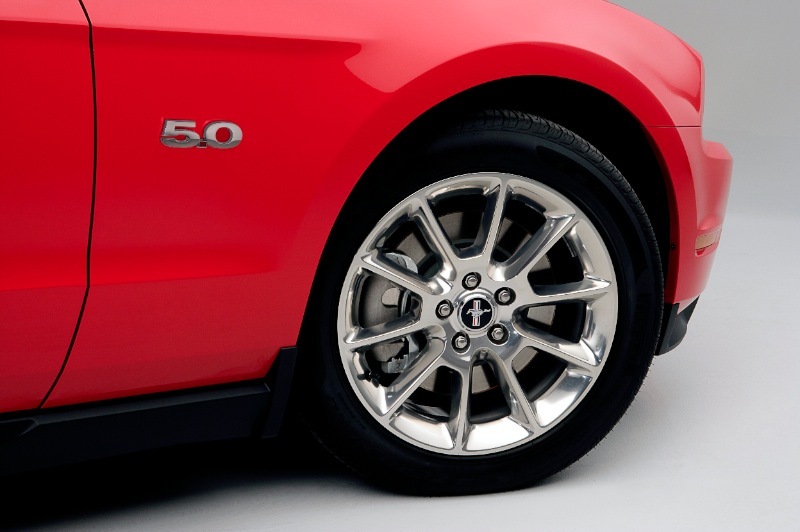 After seeing the 2011 Mustang V6 shell out over 300 horsepower, we knew Ford had more up their sleeve and quite frankly, we’re glad we were right! 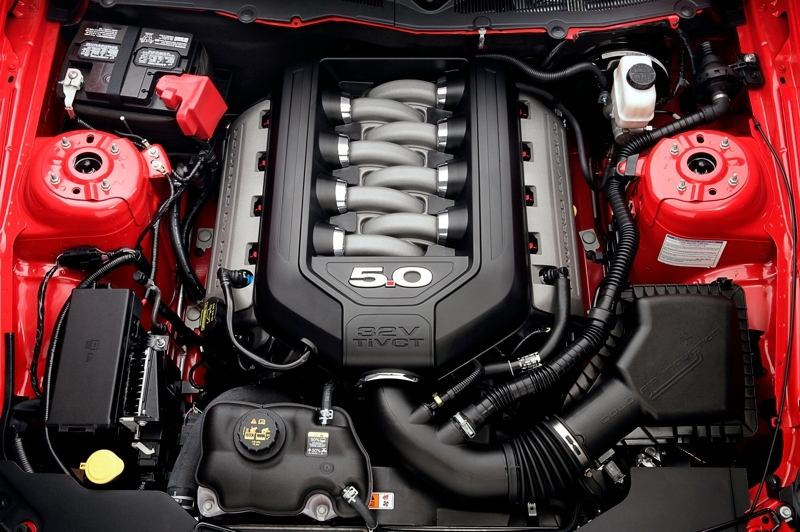 The new 5.0-liter power plant isn’t just some re-stroke. It’s a whole new engine setup. Designed in mind to handle a myriad of tech and marry it with old-school brawn, the latest 5-oh is totally dressed for success. 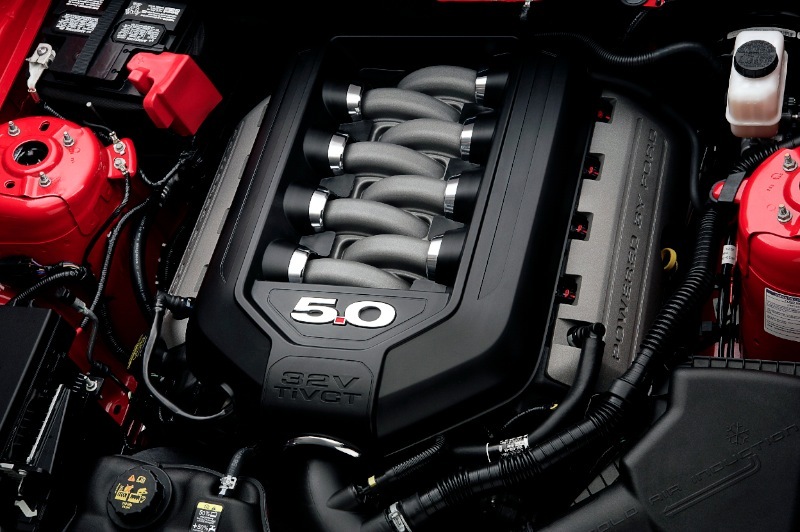 From its TiVCT (variable camshaft timing system) to its stainless steel headers, the 2011 5.0 Mustang is one promising not only power & performance, but also refinement. All this power and torque comes in a package which can achieve up to 25 mpg on the highway. How’s it done? True Ford engineering, newer technological concepts, and some light nudging from a 6-speed (yes, that’s six gears!) transmission. 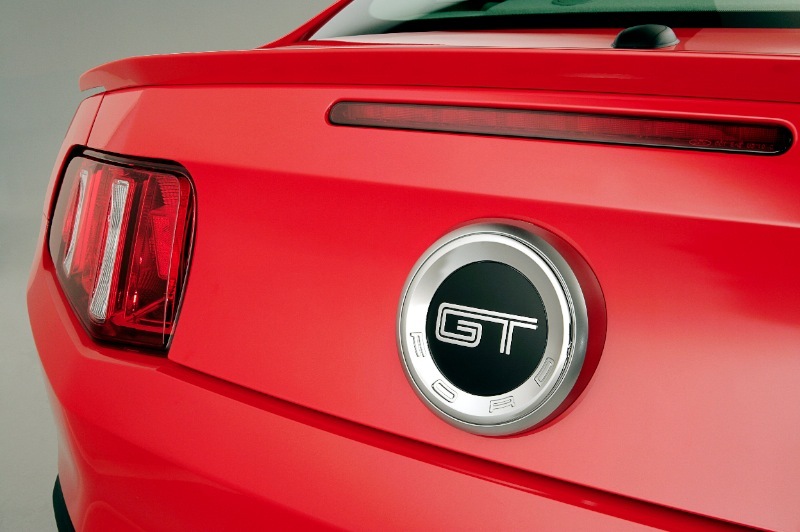 Keep reading to check out more shots and specs…or, if you want to skip the eye candy, feel free to dive right into the official Ford Mustang GT technical specifications.